Q: How to Choose the right size for my pets? Please measure your pet's height and weight before you add this product to basket. Reference the size chart on bullet point when you are ready. Q: How come seller guarantee this product can be safe for my pets? We are extremely strict with quality, which we insist use high quality gird material, top quality leather and canvas. 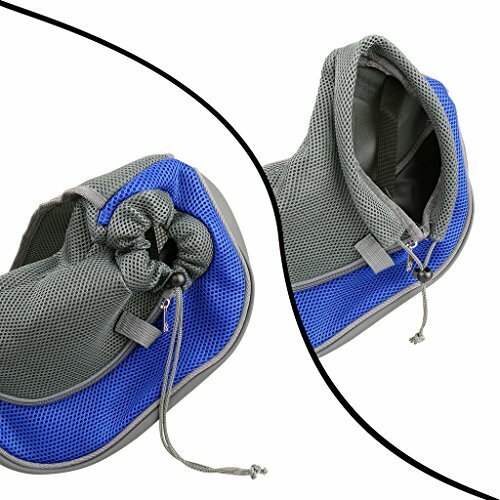 Inside hook prevents your pets jumping out and adjustable rope keep your pets comfortable. What's more, buckle design ligten the weight of shoulder during carrying. If you have received an item from us and are unhappy with the product, please let us know before considering leaving negative feedback. We're here to help, just drop us a message and we will come back to you ASAP. PET SLING CARRIERS FOR OUTDOOR, TRAVELl - Please reference size chart when you are ready to buy. 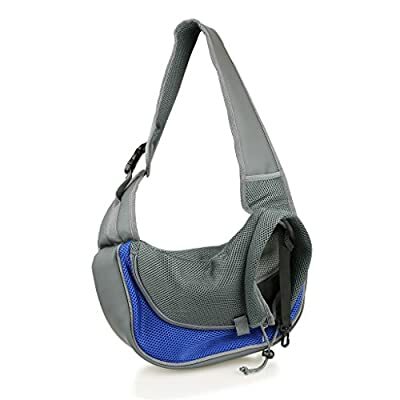 ( S ) 14.96 x 3.93 x 7.87 inch, within 2KG / ( M ) 17.71 x 5.11 x 11.02 inch, within 4KG HIGH QUALITY CARRIERS FOR PETS - High quality gird material, top quality leather and canvas. 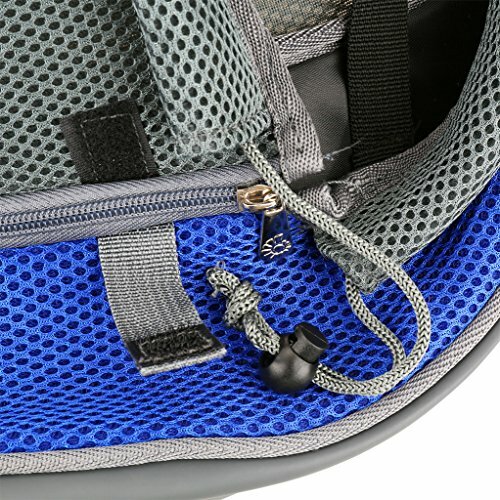 Inside hook prevents your pets jumping out and adjustable rope keep your pets comfortable. 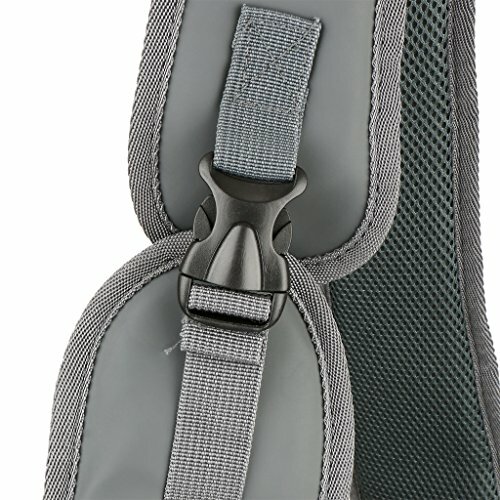 What's more, buckle design ligten the weight of shoulder during carrying. 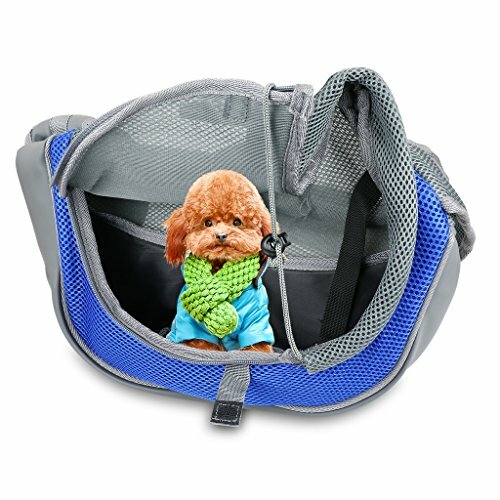 CARRIER BACKPACKS FOR PETS - This makes your purchase absolutely risk-free and you can enjoy testing out its quality and durability! Purchase this pan today while stocks last by clicking "Add to Cart" above. IDEAL FOR DOGS AND CATS - High quality sandwich mesh fabric: environment- friendly and no pungent odor. In addition, pet food and napkin can be put in the side bags. 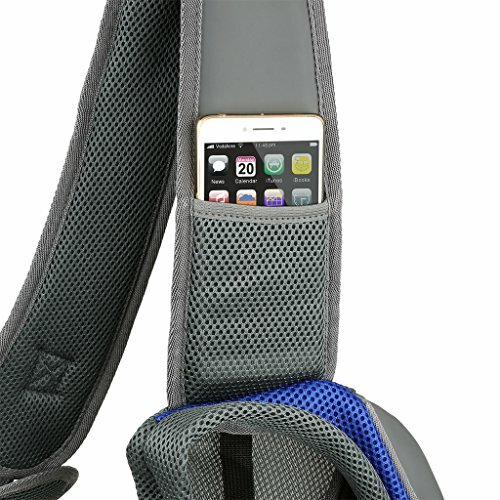 Our pet slings are the perfect item for customers who own small, medium pets. It comes in 4 different colors: Rose red, Blue, Yellow and Green.